We go behind the scenes of the game's development. 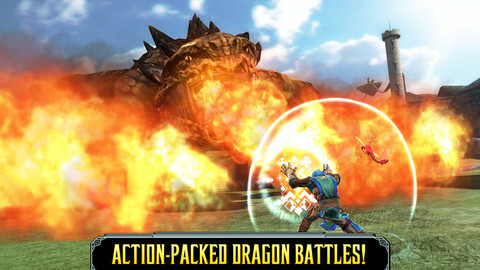 Last week we ran our review of Glu Mobile's epic combat game Dragon Slayer. It's a slick and brutal game that challenges players to succeed in a series of one-on-one fights against the fearsome dragons of a beautifully drawn fantasy land. We've since spoken to Rick Neil, Executive Producer at Glu Mobile, about the game. Read on to discover how the team went about creating this iOS and Android title. Can you give us a bit of background on your development history and other games you've worked on? The team that designed and built Dragon Slayer also worked on the Blood & Glory franchise. What was the inspiration behind Dragon Slayer? We felt there were some similarities between the game and Infinity Blade, but what other games inspired the team? We were really inspired by our own success with the Blood & Glory franchise. 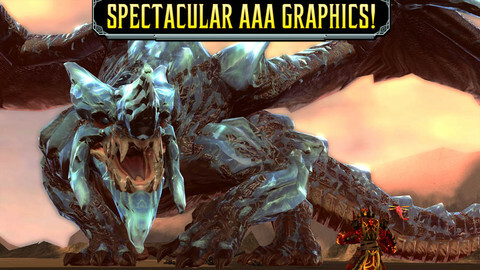 Our goal with Dragon Slayer was to deliver impressive visuals through a unique dragon theme, which we think we achieved. The inclusion and development of each gauntlet's magical elements are what really enabled the visual fireworks you see in Dragon Slayer. What was the process for designing each individual dragon encounter? Their special attacks, combat stances and so on? Each dragon species was inspired by their land of origin and within each species there are several classes of enemies. Players travel through these corrupted lands throughout the game and each has an element which influences certain dragon attacks. As players accumulate different magic element types, their strategy will change. From an artistic and technical point of view, how did you find the challenge of tailoring the game to individual hardware platforms? Designing games for a number of individual hardware platforms is one of Glu's strengths. Our ability to customize within Unity makes our design process highly-efficient. We instead focus on maximizing the performance available with each device. What achievement is the team most proud of in Dragon Slayer and why? We are very proud of the fluid animations in Dragon Slayer. The individual detail that went into each dragon enemy's look and behavior is impressive. As players progress to later missions, they will learn that each dragon displays a unique personality, even if within the same species. 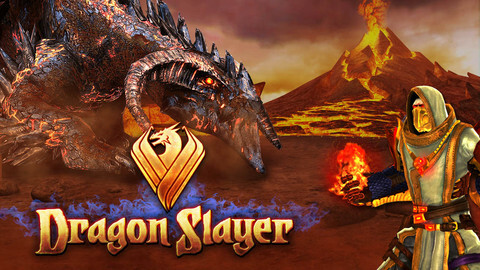 It seems like the freemium model has evolved rapidly in 2012 and Dragon Slayer strikes a good balance. How did the team go about maintaining a sensible balance between the free download and in-app purchases? We are glad to hear you think so. Our team has deep experience developing freemium games. The most important thing we've learned is to listen to and implement customer feedback. We let player opinions and real-time analytics guide our ongoing development process. Is there more content planned for Dragon Slayer. If so, what can we expect to see? If not, what are the team focusing on next? The team is already working on an update and players can look forward to seasonal equipment. Holiday themed weapons and armor, for example. Finally, are there any general strategy tips the team would like to share with Modojo readers? 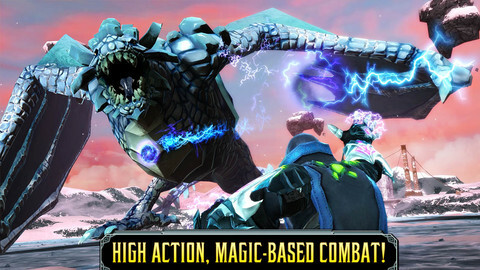 In the later stages of the game, dragon attacks will be incredibly strong and difficult to predict. Players should invest in stronger armor if they hope to prevail, even more so than upgraded weapons.